Why did Yugoslavia fall apart? Was its violent demise inevitable? Did its population simply fall victim to the lure of nationalism? How did this multinational state survive for so long, and where do we situate the short life of Yugoslavia in the long history of Europe in the twentieth century? 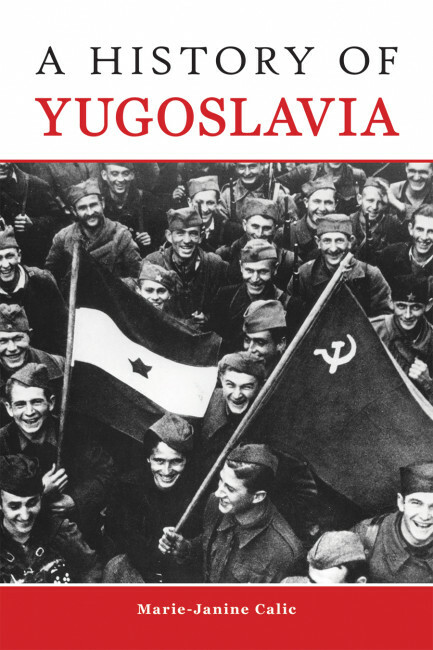 A History of Yugoslavia provides a concise, accessible, comprehensive synthesis of the political, cultural, social, and economic life of Yugoslavia—from its nineteenth-century South Slavic origins to the bloody demise of the multinational state of Yugoslavia in the 1990s. Calic takes a fresh and innovative look at the colorful, multifaceted, and complex history of Yugoslavia, emphasizing major social, economic, and intellectual changes from the turn of the twentieth century and the transition to modern industrialized mass society. She traces the origins of ethnic, religious, and cultural divisions, applying the latest social science approaches, and drawing on the breadth of recent state-of-the-art literature, to present a balanced interpretation of events that takes into account the differing perceptions and interests of the actors involved. 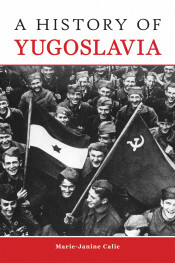 Uniquely, Calic frames the history of Yugoslavia for readers as an essentially open-ended process, undertaken from a variety of different regional perspectives with varied composite agenda. She shuns traditional, deterministic explanations that notorious Balkan hatreds or any other kind of exceptionalism are to blame for Yugoslavia’s demise, and along the way she highlights the agency of twentieth-century modern mass society in the politicization of differences. While analyzing nuanced political and social-economic processes, Calic describes the experiences and emotions of ordinary people in a vivid way. As a result, her groundbreaking work provides scholars and learned readers alike with an accessible, trenchant, and authoritative introduction to Yugoslavia's complex history. The translation of this work was funded by Geisteswissenschaften International – Translation Funding for Humanities and Social Sciences from Germany, a joint initiative of the Fritz Thyssen Foundation, the German Federal Foreign Office, the collecting society VG WORT and the Börsenverein des Deutschen Buchhandels (German Publishers & Booksellers Association). Marie-Janine Calic is a professor of East and Southeast European history at the University of Munich and a renowned expert in Balkan affairs. Previously, she held a position as the political adviser to the special coordinator of the Stability Pact for Southeastern Europe in Brussels (1999–mid-2002). She also worked and consulted for UNPROFOR headquarters in Zagreb, the International Criminal Tribunal for the former Yugoslavia (The Hague), and the Conflict Prevention Network of the European Commission and Parliament (Brussels). She is a regular commentator on Balkan affairs for the media.